Over the course of the last several months, we at The Christian Journal have covered and exposed the ‘foundational shift’ that the world is undergoing from a geopolitical standpoint. Previously, we have discussed the undeniable reality that the world is going truly multipolar from a bipolar world. Below is a brief explanation of the world orders and what can and may happen once the world goes multipolar, which according to the DOD report (below), America has entered a third transformational era since the end of the Cold War. Polarity in international relations is any of the various ways in which power is distributed within the international system. It describes the nature of the international system at any given period of time. One generally distinguishes four types of systems: unipolarity, bipolarity, tripolarity, and multipolarity for four or more centers of power. The type of system is completely dependent on the distribution of power and influence of states in a region or globally. Unipolarity is used to describe the power structure when one superpower dominates alone. The end of the Cold War meant that the previous decades’ superpower rivalry now had ended. There was no longer the “traditional” East vs. West conflict, at least not the way it had been earlier in the 20th century. The United States surfaced as the sole dominating power in world politics as there were no real challengers to their hegemonic position. This allowed greater room for the superpower to maneuver and to get involved in international issues that not necessarily coincided with national interest. We can describe this new political situation as being unipolar. Bipolarity is used to denote the basic structure in the international system when it is dominated by two superpowers. This means that other states must ally themselves with one of the two major powers, which again limits their room to maneuver and thus result in more stable international politics. A system of multipolarity increases rivalry in world politics, the reason being that many states of similar strength compete for power and influence. These states are often uncertain of other states’ intentions, which increases the probability of military action. Also, the power balance in this type of system is changing constantly, as a result of changing alliances. Multipolarity denotes the fundamental power structure in an international system dominated by several large powers, and is characterized by antagonism between these. The report provides further evidence that the end game is multipolarity because of the increased probability of military action between superpowers and nations. A previous report from the Department of National Intelligence argued that by 2025 the world will have gone fully multipolar. The DOD report profoundly claims that the international order established after the Cold War is ‘fraying’ and may, in fact, be ‘collapsing.’ The solutions provided by the report are to increase surveillance and military presence around the world which will in fact only lead to more antagonization between nations. 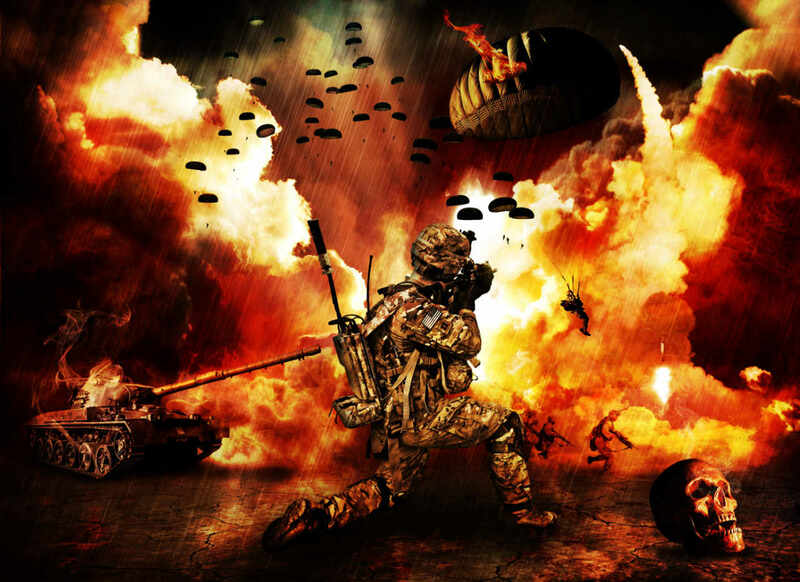 If the United States follows suit, it is probable that more military encounters with other countries will erupt, and thus potentially lead to a large global conflict caused by military expansionism and a government hungry for the supremacy it once held.